Online enrolments have now closed. For any further enquiries, please contact the Event Organiser. These courses are held variously at the State Library of Western Australia and the upstairs meeting room at Citiplace nearby. 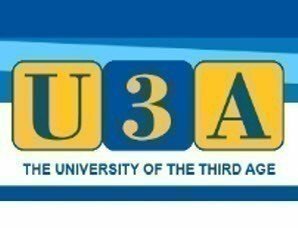 The courses are detailed in the brochure sent by email or (Post) mail to all members of U3A (UWA). Tickets are only available to members. Members will be prompted to provide their membership number at the checkout. The 2019 lecture series focuses on - events and exhibitions in the Art Gallery of WA’s calendar and addresses a very wide range of artworks and art practices including craft and design. The six talks will be richly illustrated with photographic reproductions and will present works from a number of different historical eras. Where: Central Institute of Technology Building 2, 30 Aberdeen St, Perth. Downstairs Lecture Theatre 1, next to the Aroma. When: 1300 - 1400 2nd Wed each month 10 April – 11 September inclusive. Discussion about current films showing in Perth. Members share and compare views on the quality, direction, acting and story line of films which they have seen. iPad/iPhone Q and A This short course of two sessions will basically cover some of the functions of the Apple iPad and iPhone, such as searching for information, emails, photos and navigation. Time will be available to answer any queries about the operation of your unit. Participants will need to bring their iPhone and/or their iPad. Note that it is not suitable for Android units. Wi-Fi will be available on the course. The continuing discussion about the recent trends in Science & Technology from a popular perspective - eg: genetics, climate change, mobile phones. Each session will have a number of pre-prepared discussion items, led by a member of the group, as well as a general discussion on contemporary topics. Join our lively discussion group to explore the link between a great novel and the movie it may generate. April 2nd: The English Patient – Michael Ondaatje’s 1992 Booker Prize winner, following four dissimilar people brought together at a villa during the Italian campaign of World War II. It became an equally acclaimed 1996 film, winning nine Academy Awards, starring Ralph Fiennes and Kristen Scott-Thomas. May 7th: Never Let Me Go – Nobel Prize winning author, Kazuo Ishiguro’s 2005 dystopian, science-fiction novel, described as a masterpiece of racial metaphor, which became a 2010 thriller starring Carey Mulligan and Keira Knightley. June 4th: City of Thieves – David Benioff’s 2008 dark historical-fiction novel, described by the NY Times as a gripping World War II cinematic adventure, which although widely read, and spawning many student-produced film clips, is yet to be made into a movie. Award winning screenwriter Benioff ( Troy, Game of Thrones), says he is not interested in selling it to a studio, but admits he would find it hard saying no to Peter Weir if he showed interest. Ideas and aspects of past and contemporary philosophical topics are explored, where discussion and contributions are encouraged. Featuring "Rocking around Australia, Your Will, How Forensic Anthropology solved a Mystery, A taste of Turkey, Oil a weapon of War, Dinosaurs across Australia, Guide Dogs for the blind, Kashmir-a flashpoint". For more info, please refer to the Brochure emailed (or mailed) to all U3A members and the summary provided.